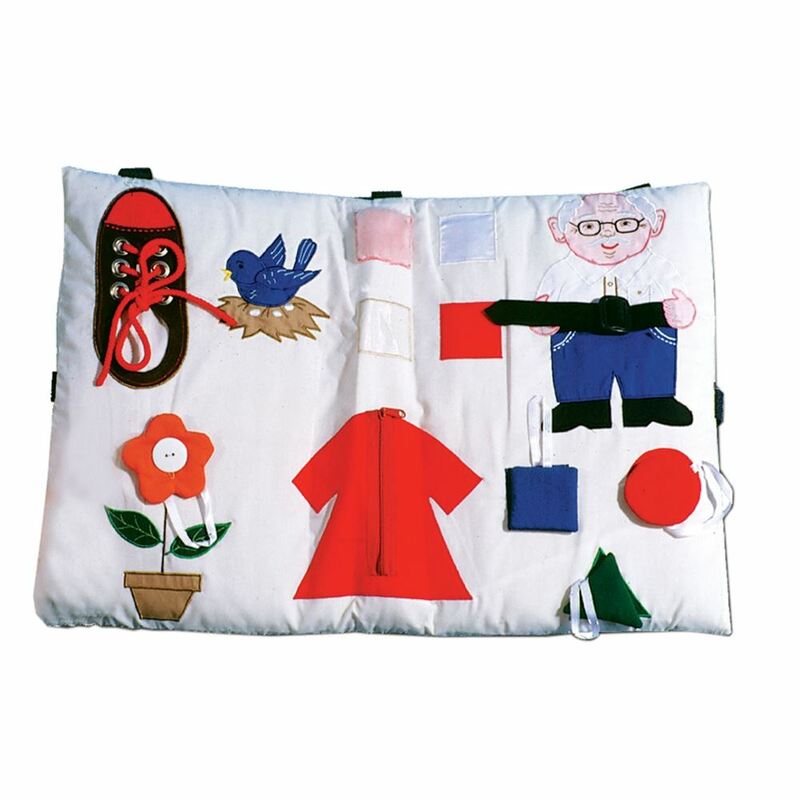 Activity Pillow helps calm those with Alzheimer's or dementia, keeping hands occupied. 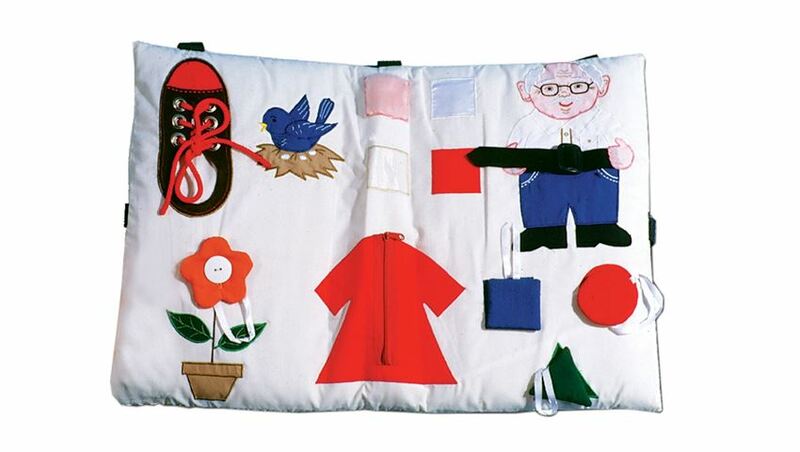 Activities include zipping, buttoning, fastening, and buckling. Textures offer tactile stimulation. Bird chirps when pressed. Straps secure to bed or tray. Items are permanently attached to help prevent swallowing or loss. Machine washable. For more information on the Activity Pillow, click here.